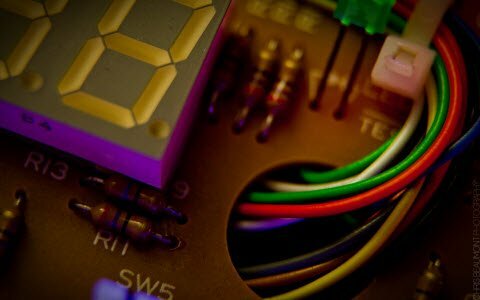 The Difference between Discrete Circuits and Integrated Circuits? An every elementary electronic device constructed as a single unit. 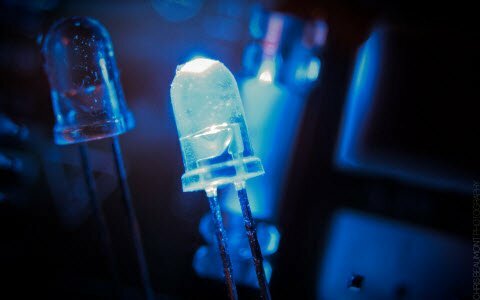 Before the invention of integrated circuits (ICs), all the individual transistors, diodes, resistors, capacitors, and inductors were discrete in nature. Any circuit or a system can produce the desired output based on input. Any system can be constructed by using discrete components and also by an IC. We cannot physically put all multiple discrete circuits on a plate of silicon and simply call it an integrated circuit. Integrated circuits are made up of silicon wafers, not inserted (or placed) onto silicon wafers. So the main thing is to create an IC, all discrete components processed on a silicon wafer. But then again we have a problem; some discrete circuits may not be possible to be created on a silicon wafer while we are manufacturing an IC. A discrete circuit is constructed of components which are manufactured separately. Later, these components are connected together by using conducted wires on a circuit board or a printed circuit board. The transistor is one of the primary components used in discrete circuits, and combinations of these transistors can be used to create logic gates. These logic gates can be used to obtain the desired output from an input. 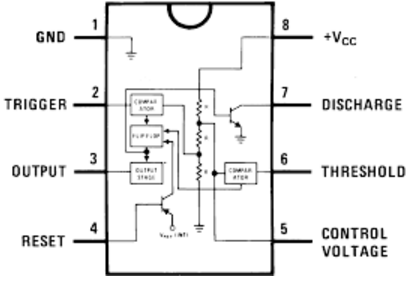 Discrete circuits can be designed to operate at higher voltages. Assembling and wiring of all individual discrete components take more time and occupies a larger space required. Replacement of a failed component is complicated in an existed circuit or system. 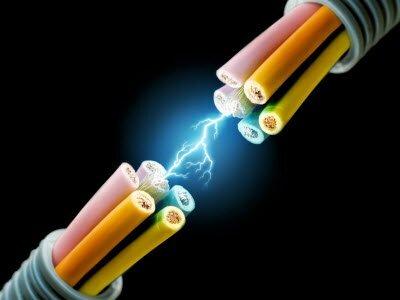 Actually, the elements are connected using soldering process so, that may have caused less reliability. To overcome these problems of reliability and space conservation, integrated circuits are developed. An integrated circuit is a microscopic array of electronic circuits and electronic components (resistors, capacitors, inductors…) that are diffused or implanted into the surface of semiconductor material wafer such as silicon. Integrated Circuit invented by Jack Kilby in the 1950s. A chip is commonly termed as Integrated circuits (IC). These ICs are packed in a solid outer cover which can be made of an insulating material with high thermal conductivity and with contact terminals (also called pins) of the circuit coming out from the body of the IC. Based on pin configuration different types of IC`s packaging are available. The transistors are the main components in IC manufacturing. These transistors may be Bipolar Transistors or field effect transistors depends upon the application of ICs. As the technology is growing day by day, the number of transistors incorporated in an IC is also increasing. Depending upon the number of transistors in an IC or Chip, the ICs are categorized into five types given below. An integrated circuit quite small in size practically around 20,000 electronic components can be incorporated in a single square inch of IC chip. 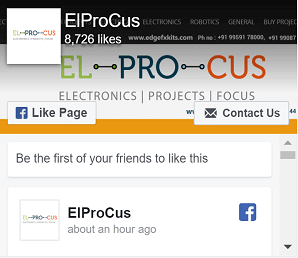 Many complex circuits are fabricated on a single chip and hence this simplifies the designing of a complex circuit. And also it improves the performance of the system. IC’s will give high reliability. A lesser number of connections. These are available at low cost due to bulk production. IC’s consume very tiny power or less power. It can easily replaceable from the other circuit. After fabrication of an IC, it is not possible to modify the parameters within which an integrated circuit will operate. When a component in an IC gets damaged, the whole IC has to be replaced by new one. It is not possible to produce high power ICs (more than 10W). 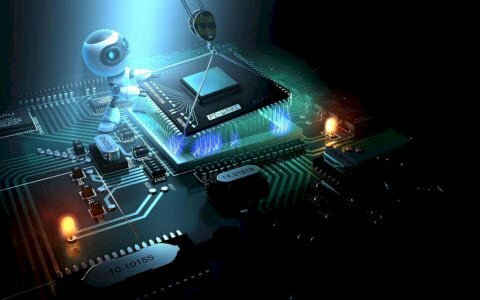 From the above information we can conclude that generally, integrated circuits are mini circuits fabricated on a single silicon chip and hence output in massive savings in terms of area. 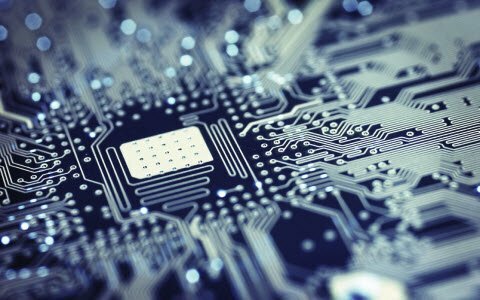 Whereas, discrete circuits comprise of various active and passive electronic components connected on a PCB with the help of soldering process. We hope that you have got a better understanding of this concept.Furthermore, any queries regarding this concept or to implement electronics projects, please give your feedback by commenting in the comment section below. 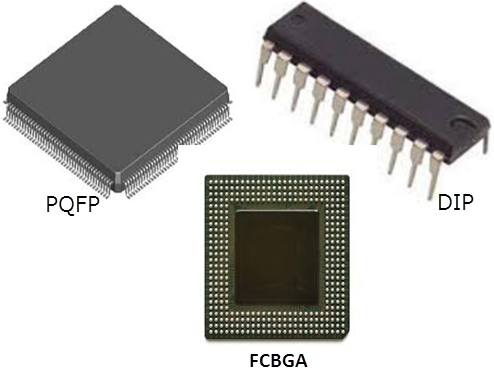 Here is a question for you, What is the main function of IC? ‹ Previous What is Real-Time Operating System (RTOS) and How It works? Thank you so much.. Loved it. No complications.. Easily explained. I am delighted to receive your note and thanks for the compliment.